Welcome to the Cave Kingdom, explorers! 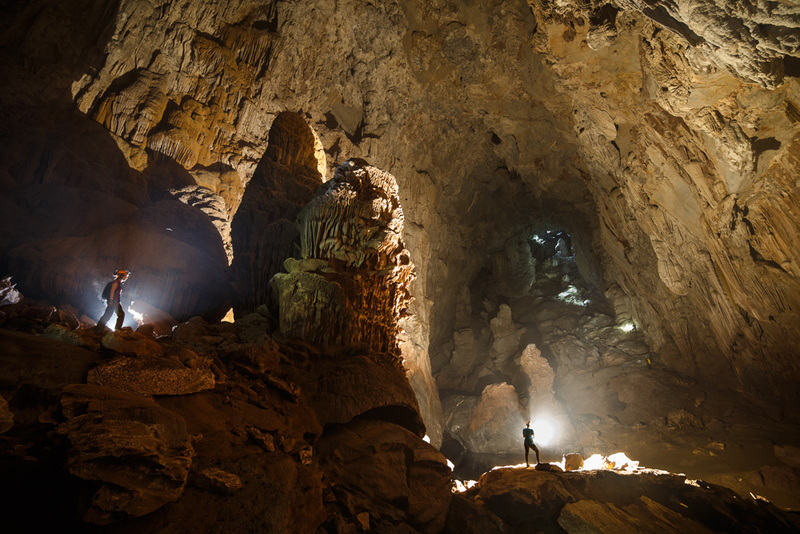 You are about to begin the Son Doong Cave Expedition - The World-Class tour of Hang Son Doong in Vietnam. Experience the World’s Largest Cave with a team of safety experts, professional guides and porters on this world-class tour of Hang Son Doong. This caving adventure is suitable for budding explorers and photographers with a thirst for the ultimate adventure! In a small team of up to eight guests, you’ll trek deep in the remote jungle of Phong Nha Ke Bang National Park, cross stunning river valleys, meet the friendly Bru Van Kieu minority people of Doong Village, and bear witness to incredible cave formations unlike anywhere else in the world. 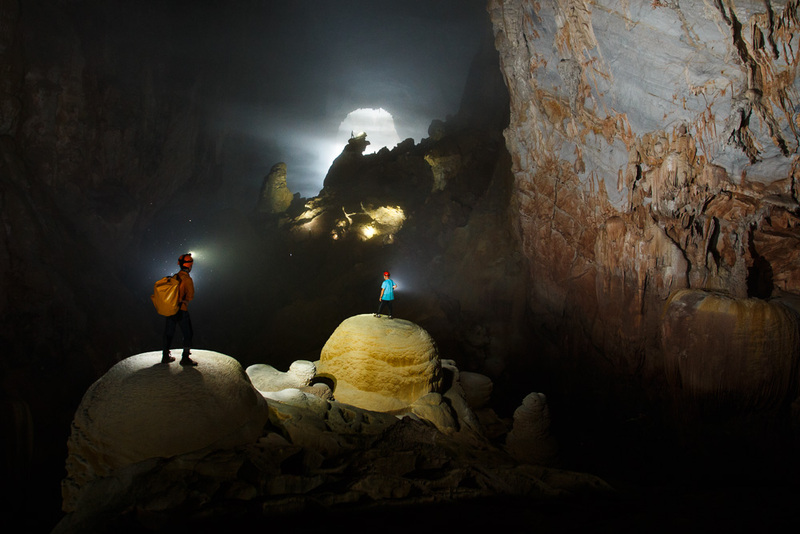 More like a mini-expedition, a team of more than 16 porters, safety experts and guides will accompany you on your six-day adventure, with two nights camping in magnificent Hang En and three nights in the World’s largest cave, Hang Son Doong. Safety is absolutely paramount on all trips operated and hence two of the very best caving experts from the UK – the Limbers and their team will accompany each tour of Son Doong Cave. Ropes, safety harnesses, lights and helmets are necessary to enter Son Doong and these are all provided from European manufacturers such as Petzl and Mammut. On this tour, and whilst miles from civilization, you will be treated to a smorgasbord of delicious traditional Vietnamese cuisine, and you can even participate in our very unique Son Doong Cave cooking class if you are interested in learning some new recipes! Camping gear is provided and will be setup for guests upon arrival at each campsite. A team of porters will carry all gear and assist you with your own gear to ensure you can comfortably maneuver your way through the cave on each day. We are committed to cave conservation, and hope to preserve the beauty of Son Doong Cave for future visitors and have thus imposed a number of rules to ensure no damage is caused to any cave formations or the general cave ecosystem. Composting toilets are used at each campsite and all rubbish and waste removed at the completion of each tour of Son Doong. During 2013, there were just 3 expeditions done in August. You are about the next of 220 explorers in 2014! Before 09h00: our guide and driver will meet you at the airport of Danang, depart for Phong Nha. After about 2.5 hours driving, we reach Hue city and stop for lunch. Continue the drive to Phong Nha, en route visit the 17th parallel – Ben Hai river, the DMZ (demilitarized zone) of Vietnam from 1954-1972. Offer your hands to prepare the dinner with the host of the homestay if you like. 18h00: we will meet the team at Phong Nha for safety briefing and tour preparation, overnight at the homestay. Note: on the way to Phong Nha, we will pick you up @ Hue airport/hotel (before 11h15a.m) or Dong Hoi airport/hotel (before 15h00) if your departure place is not in Danang airport. 6km to arrive at the camp inside Hang En (B/L/D). the first underground doline (B/L/D). section of the cave (B/L/D). Day 7 | Arise early and trek back to Phong Nha. Spend the evening to enjoy the celebration party (B/L/D). You also can choose to stay at Chay Lap homestay again or mini hotel in Phong Nha. Breakfast. Check out the hotel/homestay and transfer back to Dong Hoi/Hue/Danang for your next destination. Mission Completed! o All food and drink during the tour (tea/coffee/drinking water/wine). o Expert cave instructors to guide on safety equipment and caving techniques. o English speaking Vietnamese guide to provide local knowledge about area and caves. set up camp and prepare meals. o Camping equipment: tents, sleeping bags and mattresses. o Generator/Fuel for charging Cameras etc. o Accommodation before and after the tour dates. 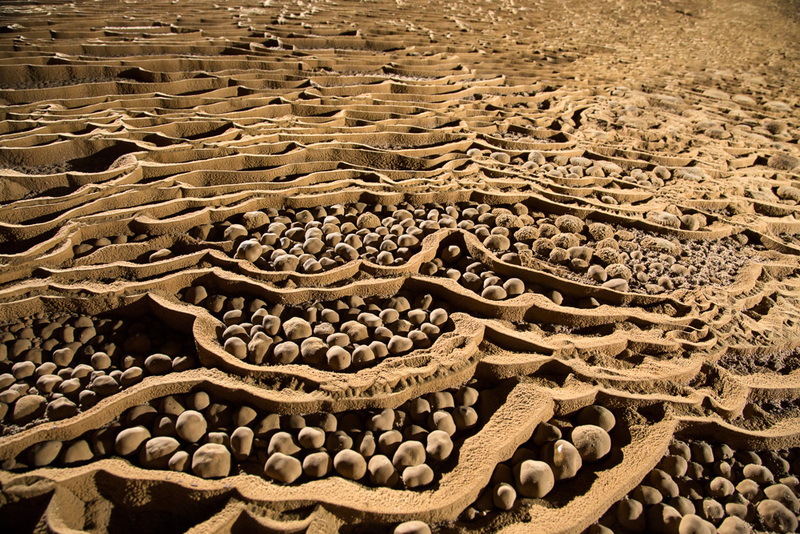 The tours will depart during the dry months (February to August) on a weekly basis. All prices quoted are on a net basis and in United States dollars and valid according to the date specified on the quotation. We reserve the right to revise pricing rates posted on our website, under any circumstances, or on the pressure of various external factors that are beyond than our control. For instance changes in exchange rate, government action etc. However we make a great effort to keep the advertised rate. In the case of minor increases in hotels or other related factors, we won’t revise the cost of the trip which has already been confirmed & booked by deposit. All services described in the detailed itinerary will be booked after receiving the client’s approval and confirmation of the proposal. In case some services cannot be confirmed you will be informed immediately, and offered an alternative. Tour dates will be fixed, but may be extended by 2-3 days due to weather conditions. A 50% deposit will be required to confirm the reservation and full payment will be paid 30 days prior trip starts. 1.No refund will be made to clients who leave the tour regardless of the stage of the itinerary. When the tour is cancelled or curtailed by the client, Oxalis Company Limited shall not be liable for any refund of the days not utilized. Clients will have to pay for the hotel or any extra costs incurred after leaving the tour. 2.If clients do not show up at the meeting point specified on the agreed date, Oxalis Company Limited will assume you have been delayed and will wait for you to contact us with your new expected arrival date. If you do not contact us within 48 hours we will assume you have cancelled the tour. There is no refund of any money paid. 3.The tours will not be cancelled unless Oxalis Company Limited is forced to do so because of unusual or unforeseeable circumstances, such as a major natural disaster, major political unrest or war. In case of bad weather condition, the tour maybe delayed 2-3 days. We shall not be liable for any additional expenses that you may have incurred (such as insurance, visas, vaccinations and other incidental costs). Charges for cancellation of bookings (hotels/ transport) are not levied by Oxalis Company Limited unless hotels, carriers and other contractors apply charges for cancellation. The Client shall be liable to pay those charges to Oxalis Company Limited. 50% deposit will be required to confirm the reservation. The remitter shall be responsible for all associated banking fees. Full payment is due at the latest 30 days prior to the tour departure. In case payment has not been received prior to the clients’ arrival, Oxalis Adventure Tours may at their sole discretion cancel the bookings without any refund of sums already paid by the client. It is a fundamental condition that you acknowledge that this is an adventure tour. This requires some flexibility. The day to day itinerary is taken as a guideline only. The trek information sheets give information and conditions relating to the tour and are deemed to be part of the contract and so you should be fully aware of their contents. However the itinerary is an indication of what the group should accomplish, but not a contractual obligation. 1.Oxalis Company Limited cannot be held responsible for any delays caused by International or domestic flights, strikes, Government regulations, weather or unexpected events. In such cases, Oxalis Company Limited shall be responsible for providing suitable alternatives which would be decided upon mutual agreement. If an agreement cannot be made, Oxalis Company Limited shall be only responsible for the refund after deduction of expenses already incurred. When trekking in remote areas the client is advised to reserve extra days to allow for some delays to avoid frustration and inconvenience. 2.All information and advice provided (vaccinations, climate, trekking equipment, visas etc.) is given in good faith but without responsibility by Oxalis Company Limited. 3.Clients must follow the advice and instructions of the tour / trek guide who represents Oxalis Company Limited at all times. 4.The client must purchase a comprehensive travel insurance package covering medical treatment, natural disaster, personal accident etc. This is strongly recommended to all our clients. 5.The client understands that during the course of the trip certain events may occur, including, but not limited to, accident or illness in remote places without medical facilities, political instability and the forces of nature. The client agrees to assume all risks associated with the tour. 6.The client acknowledges that Oxalis Company Limited contracts with a network of companies, government agencies and individuals, to assist in the running of its tours, treks. To the best of Oxalis Company Limited .’s knowledge, these third parties are qualified to perform the duties they are contracted to perform. However Oxalis Company Limited will not be held liable for any injury, damage, loss, delay or irregularity that may occur due to these third parties. 7.Participants must be in good health and physical condition. It is vital that participants with pre-existing medical problems or conditions make these know to Oxalis Company Limited at the time of booking. Medical and evacuation expenses are the responsibility of the participant. It is also important that you consult your doctor for vaccination and other medical requirements for your trip before you depart. 8.Bad weather in this region can cause domestic flight delays. In the event of delayed domestic flights, Oxalis Company Limited will not be liable for any extra costs incurred. 9.Oxalis Company Limited will not accept responsibility or liability for any client who contravenes any law or regulation of any country visited. * Good footwear necessary. We recommend 5:10 Canyoneering boots. If you do not have boots we can supply jungle boots sizes 38 – 44. Q. Do I need to be very fit for this tour? Q. Do I need previous caving experience or abseiling to join this tour? A: No, you do not require any experience of caving or abseiling. Some climbing is required but it is not too strenuous and at all times you will be tied to a safety line controlled by the safety guides. If you have a big fear of heights please do not attempt this tour. Q. Do I need professional caving or abseiling experience? nothing too strenuous and at all times they will be tied to a safety line controlled by the safety guides. The clients should be relatively comfortable with heights. Q. What are the nearest international airports? Q. Do you provide transfers from Hanoi or Ho Chi Minh City? A: Yes, we do. There will be an additional cost for flight ticket/train to/from Dong Hoi city - the nearest airport and train station to Phong Nha village, takes about 1 hour driving (55km). There are also 2 more airports in the region, Hue airport – 230km away from Phong Nha (4-4.5 hours driving) and Danang airport – 330km (6 – 6.5 hours driving). Contac our team for the flight schedules and the best air-fare to Vietnam and link to the region. Q. Can my clients charge their camera whilst on the tour? for around $400 per group departure. A: No. You must purchase your own insurance and provide us with a copy of their insurance statement upon final payment one month before departure. Q. How can I book a place for your Son Doong tour? A: You must send us the completed medical/fitness form and a scanned copy of your passport to secure your spot. Payment will be requested once we confirm your booking. Q. When should I arrive/depart from Dong Hoi? A: You should arrive on Day 1 of the tour itinerary no later than 4pm. We recommend allowing 2 extra days before any international flight as delays due to weather can sometimes occur. Q: Can I charge my camera whilst on the tour? A: No. However, we can arrange for an additional porter and hire of a small generator for around $400 per group departure. Most people just bring multiple batteries. Q: Can I wash and clean myself each day of the tour? A: No. We have limited water supply in the cave. You are going to get dirty. We will take you to some areas to wash but please don’t expect anything fancy. This is camping in a cave! There will always be enough for water for cleaning teeth. We provide hand gel for use before meals. Q: Are there snakes and spiders in the cave? A: Yes. There is a small chance you will encounter snakes, spiders or leeches. Q: What sort of clothes should I bring? A: We recommend lightweight trekking clothing. Long trousers for trekking and caving, shorts may be worn around camp. A pair of good trekking boots and a headtorch for use around camp. We will send you a list nearer to the tour date. Q: What would you do if someone has an accident in the cave? A: We always carry a comprehensive first aid kit and satellite phone. We have a stretcher available in the cave. We have experience in cave rescue techniques. Q: How sustainable in taking tourists to Hang Son Doong? A: Son Doong cave is a very special place that requires minimal impacts, therefore only 224 tourists is allowed per year. Everything that is brought into Son Doong must be removed after every tour. This includes even human waste. This is done by the process of composting toilets set up in both camps in the cave. After composting all waste is removed from the cave. These toilets are very hygienic and smell free and good for the environment.